Treasure Island sounds like something out of a fairy tale, but it really does exist in Florida! 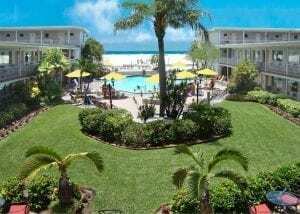 Treasure Island Beach Weddings are best known for their ease of access to the Gulf of Mexico. Treasure Island is most known for its three miles of white sandy beaches. 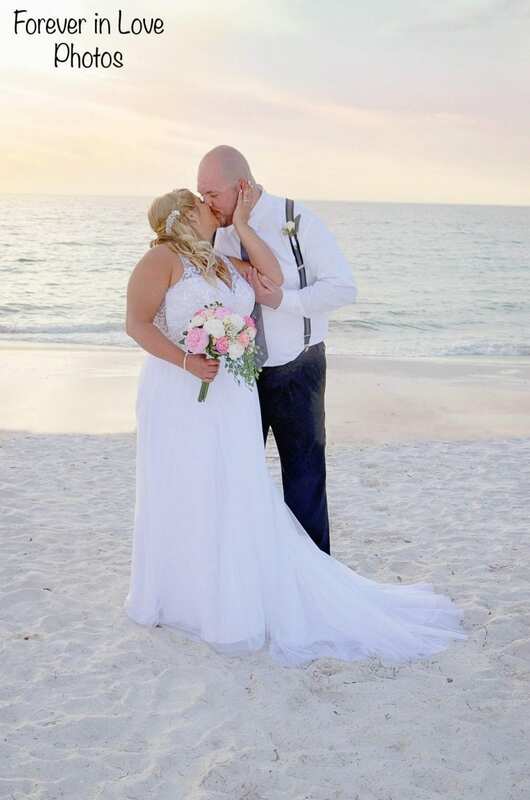 Not only is the fluffy, white sand perfect for your Florida Beach Wedding, but the breathtaking sunsets will make for the perfect beach wedding backdrop. Treasure Island has many hotels, restaurants and attractions to keep you and your wedding guests entertained while you visit. Check out Caddy’s Waterfront for drinks and dining, all while you get to enjoy your toes in the sand. This is an experience like no other. Escape to paradise and enjoy the laid back island style you have been dreaming of for your wedding ceremony. Some of our favorite locations and accommodations are listed below. The Thunderbird hotel in Treasure Island has been family owned and operated since 1957 and would make an excellent choice for your Clearwater beach wedding in Treasure Island. The Thunderbird hotel has a heated pool, a quiet pool, hot tub, tiki bar, and live entertainment almost daily. Not only will you get to stay at this beautiful beachfront hotel leading up to your Treasure Island wedding, but you can also have an unforgettable wedding reception at their banquet room or garden. The beachfront banquet room has beautiful views of the gulf and your guests will get to awe at the sunset while enjoying your beach wedding reception. The banquet hall can hold up to 75 people and can accommodate a dance floor, DJ and everything you need to have a full on reception. If you are looking for something more laid back consider a reception in their tropical courtyard. With beautiful outdoor views and the tropical feel of the greenery, you can enjoy a laid back private dinner with your guests. 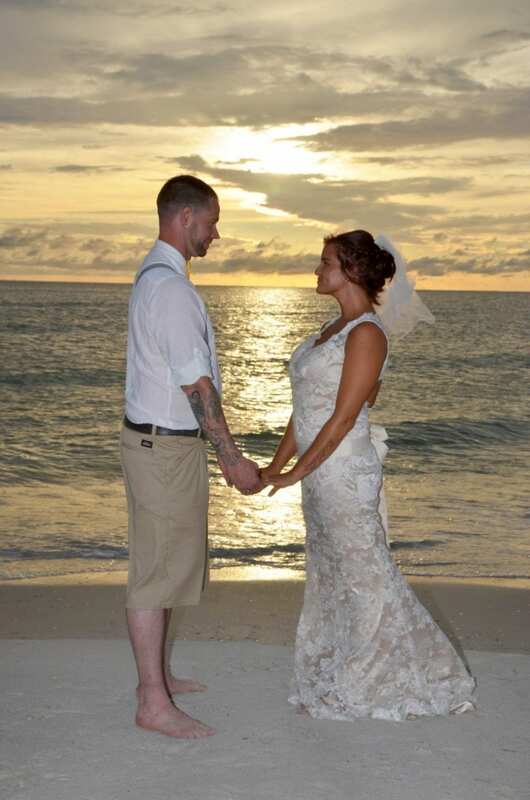 Sunset Beach weddings are truly your all-inclusive Florida Beach Weddings. 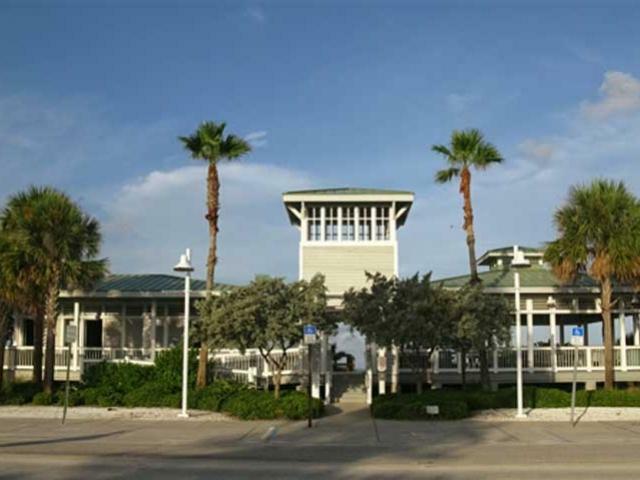 If you are looking for a Clearwater beach weddings and reception, Sunset Beach is the location for you. Sunset Beach has no public vendors, meaning no chair or umbrella rentals taking up the beautiful views of the Gulf of Mexico. Sunset Beach also has a rock jetty that adds drama to the beach and is an ideal spot for your beach wedding photos to take place. We highly recommend renting the Sunset Beach Pavilion. This Pavilion is located directly on the beach, making it easy and convenient for you and your guests to enjoy a simply beach wedding reception. Take advantage of the beautiful sunset, affordable pavilion rental, and let your guests relax on the beach during your laid back wedding reception. You also have the option to rent a lot in the parking lot. This will reserve 16 spots and you will receive 50% off the posted parking meters. Take away the stress of finding parking for you and your guests, and make it a true one stop shop wedding with Sunset Beach Weddings. Read more about our Sunset Beach Weddings on Treasure Island here. Treasure Island Beach Wedding Packages- are they right for you? If you want the true experience of a Florida Beach wedding, you can’t go wrong with beach wedding packages. Treasure Island Beach Wedding Packages allow you the freedom to start with a shell and transform it into your style. We have a wide variety of color choices for your bamboo canopy, your aisle-way, your music choices and you even get to choose the ceremony read at your ceremony. Even though we have been performing beach weddings in Florida for over 10 years, each and every one of our ceremonies are different. Trying to keep it simple and sweet? Check out our Treasure Island Elopement Packages. With everything you need to escape to paradise with 6 or less guests, you can truly elope to paradise. If you are looking for larger beach wedding ceremonies, check out all of our beach wedding packages here. We are excited for the opportunity to work with you and see just how magical your Treasure Island beach wedding can be. Looking for a specific beach in Clearwater? These beautiful beaches in the Clearwater Beach area are perfect for your Florida Beach Wedding.